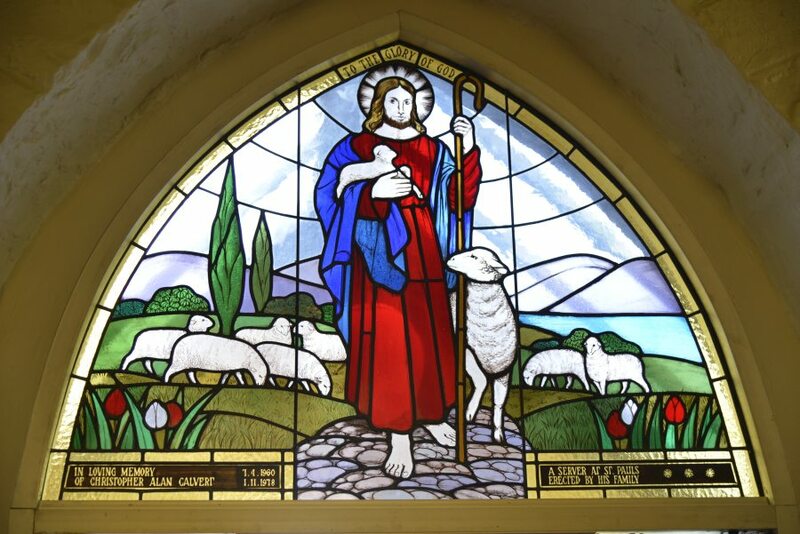 Welcome to the Anglican Parish of Westmeadows / Bulla. 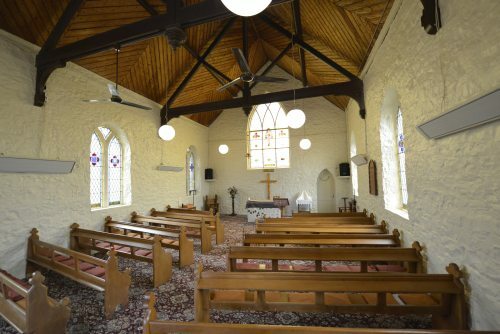 The historic building of St Paul’s Church, Westmeadows has stood the test of time offering a continuous place of worship for more than 160 years. St Paul’s pre-dates the Victorian gold-rush and is among the oldest Anglican churches still offering weekly worship in Victoria. Bishop Perry laid the first stone on 15 January 1850, although no foundation stone has ever been found to mark the event. Situated some 16 kilometres from the centre of Melbourne, St Pauls was on the main route to the goldfields in those early days. The crossing point of Moonee Ponds Creek for stage coaches and miners heading to the goldfields was a bridge across the creek at the site of the old Bluestone Bridge in Westmeadows township. The Bluestone Bridge was built in 1869 but there were previous wooden bridges, which were destroyed by flood and fire. On 5th April 1974 much of the sanctuary was destroyed by fire. Gifts, loans and a working bee soon had things in order for the next Sunday’s services. A shocked congregation offered thanks to God that greater damage had not been done. 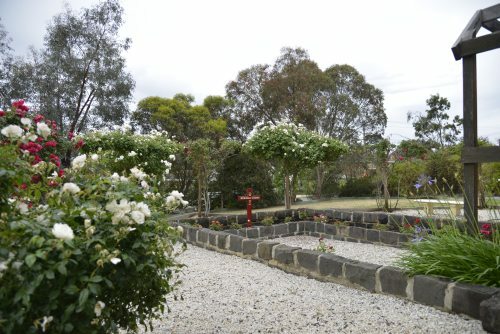 A ‘Garden of Memory’ was created in late 1960’s along the northeastern side of the Church building and consecrated to receive the ashes of parishioners and their family members after cremation. 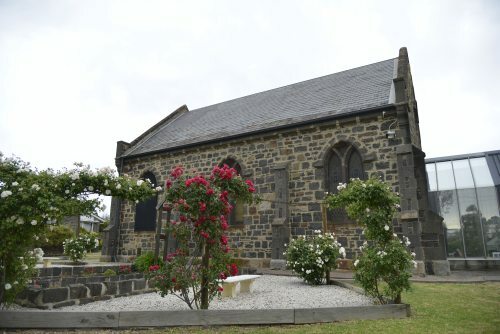 ‘One of Victoria’s oldest surviving churches, built in 1850, on one of the original village reserves which had been surveyed by Robert Hoddle in1838. It is the only definitely identified example in Victoria of the work of the important Tasmanian architect James Blackburn (whose later practice in Melbourne was mainly carried on through his son). The building is of squared coursed bluestone rubble with simple branching mullions with a plain interior’. Our Mission - To strengthen and build up our church within the community, welcoming all with love, respect and acceptance. Our Vision - To be a beacon for Christ! Saint Paul’s is a community in which faith and service to others is nurtured and encouraged. We extend a welcome to you to join our Christian community as we gather for worship each Sunday. 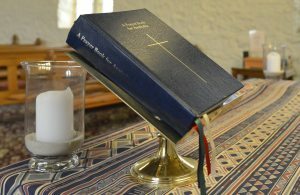 Weddings, baptisms and funerals are conducted in the Anglican tradition after consultation with the priest in charge. All are welcome so if you would like further information or an opportunity to seek guidance for your spiritual journey please feel free to contact the Vicar on (03) 9309 5061. "We the Wurundjeri are the traditional custodians of this land. This land must be respected in honour of our ancestors, who Walked this land for many thousands of years; we acknowledge Our Ancestors, elders, community members past and present."